According to the Where Is My Plow website, plowing will begin on residential roads after an accumulation of 7cm of snow. After this time, residents can use the app to gain an “estimate of the arrival time for snow plowing equipment based on the most up-to-date operations information available.” As the plowing conditions are subject to change throughout the day, residents are encouraged to check the app frequently in order to obtain the most recent estimates. 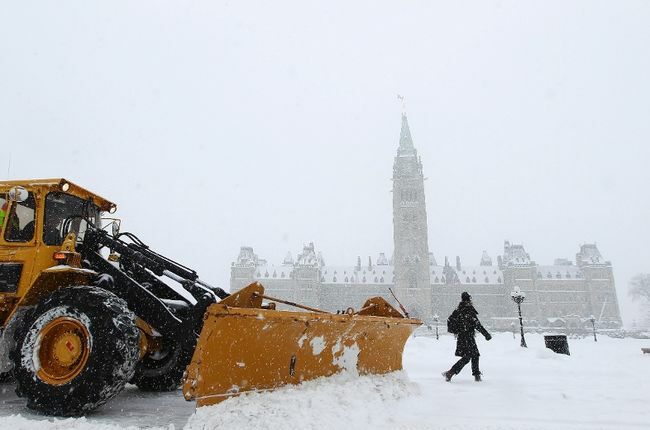 The City of Ottawa website notes that, “the city’s road network is divided into two road categories for winter maintenance.” The first category compromises higher priority roads, such as main arterial roads and smaller neighbourhood collector roads. Transit routes are also included. As these roads are maintained and cleared at a high frequency, they are not included in the Where Is My Plow app. The second category compromises smaller local roads, which are plowed only after an accumulation of 7cm of snow. Last year, the Where Is My Plow app and website pilot version applied purely to these remaining local roads. So how did the Where Is My Plow app perform last year? Well, honestly, not that great. Users complained about a number of technical difficulties they encountered, such as the app not recognizing certain street names, and sometimes it just failing altogether. Councillor Keith Egli, head of the transportation committee, defended the difficulties as “teething problems”, common with any new technology being rolled out for the first time. The real question is, will these problems have been fixed in time for this year’s winter season? Guess we’ll have to wait to find out and, with Ottawa already receiving its first snowfall of the season, the wait won’t be long! Don’t get caught out this winter! Please reach out to Marsten for any snow removal, snow dumping, or winter maintenance needs that your commercial business may have. We will be more than happy to discuss your requirements and provide you with a quote!